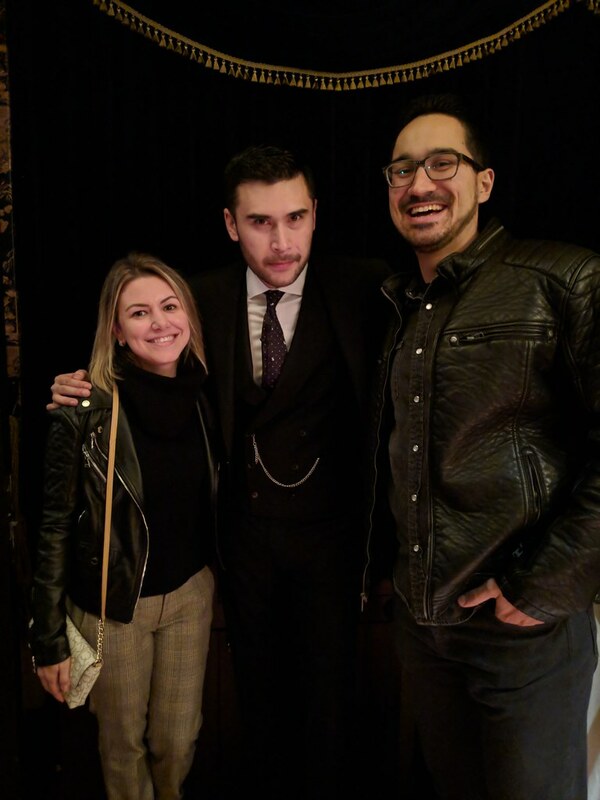 After Sleep No More, an immersive theater experience here in New York – see my post about it here – I was excited to check out other entertainment experiences beyond Broadway. You see, I love plays and musicals, but my journalist investigative soul always causes me interest and curiosity in researching and checking experiences beyond the obvious/classic script. When two friends told me about The Magician at Nomad, I went to research about it and was intrigued. I did not know many details but judging that it is a show whose tickets are sold out in seconds and that the two people I know and who have checked have loved, it was enough to convince me to check closely. And today I will tell you some of our experience for you. 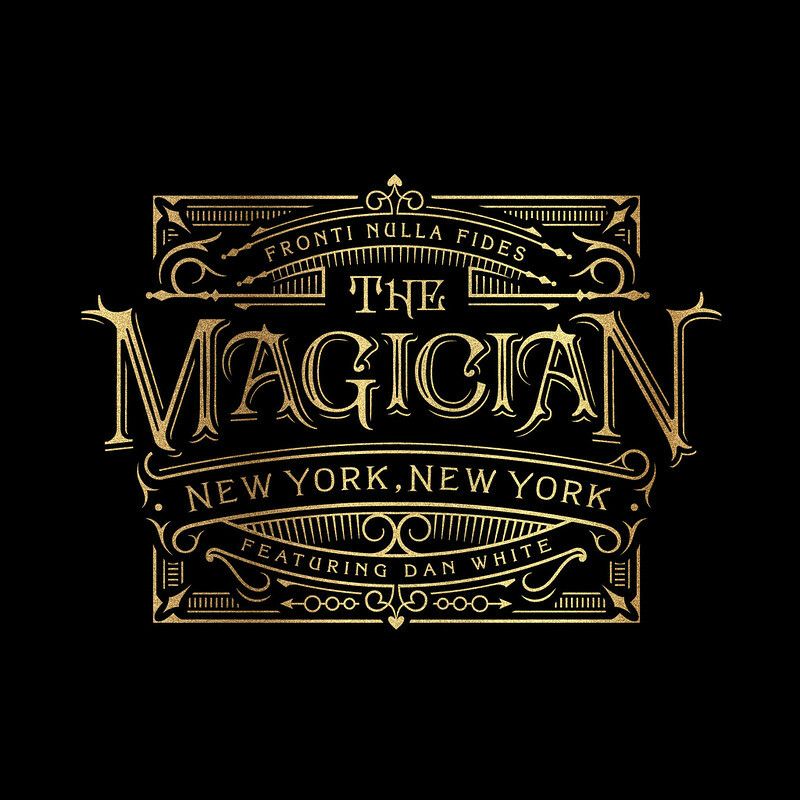 The Magician is a collaboration between The NoMad with theory11. Dan White is a magician, creator, consultant, and performer. Over the past 20 years, he’s created magic on stage and screen around the world. Dan was featured on the Discovery Channel special The Supernaturalist and White Magic on the Travel Channel. In 2014, Dan served as a creative consultant to Kanye West, collaborating on iconic, magic visuals for the YEEZUS tour. Prior to that, Dan consulted on-site in Las Vegas with legendary illusionist David Copperfield. We had tickets for Friday, 7 pm. We arrived at the Nomad a few minutes before 7 and the security guards guided us to the area to which we should go, near the elevators. There, a girl dressed in white, with a mysterious face, distributed three play cards to each of the people and led us up the stairs. After that, we arrived at the venue, checked in – your name goes to a list after you make the purchase, there are no printed tickets – and a member of staff directed us to our seats. The room, with vintage posters, is small and accommodates about 100 people. There is also a small stage. Next to the chairs where we sat, there was popcorn, courtesy of the house, and water. You can order drinks and also some snacks. The show began at 7.30 pm and lasts for two hours, with a short break. This is an intimate show, but with a very neat production, which uses not only a set of lights to create an interesting atmosphere but also a soundtrack that captures your attention. From Dan’s entrance on stage at the end of the show, every detail is conceived with a touch of magic, of course. I figured Dan would be super mysterious and serious, but to my grateful surprise, he does it all with a lot of humor and a smile on his face, teasing out audience laughter and spontaneous reactions. He is articulate, playful and detailed. 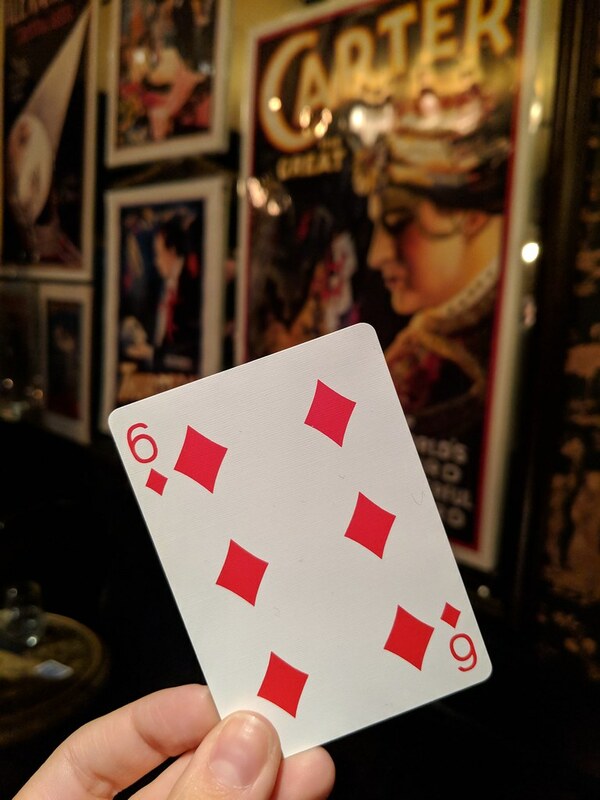 The numbers involve many tricks with cards, but also numbers of divination, objects that come and reappear, levitation, among others. In all the numbers, Dan interacts with the audience and also recruits several helpers. Okay, then you may be wondering: okay, it’s more of a normal magic show. It is not. Number after number, there’s no way you’re not asking yourself: how did he do it? It’s not possible. 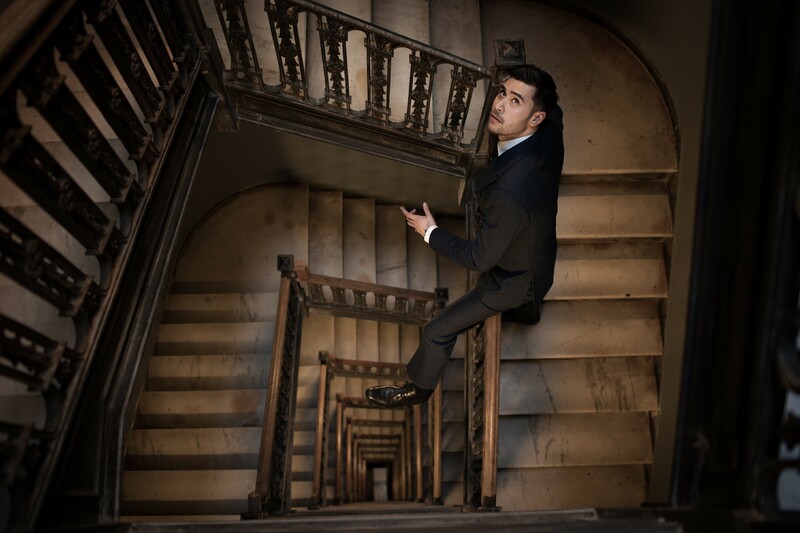 So much so that people’s reactions are the best – as he reaches the apex of a trick, you hear shouting and agitation, because it’s virtually impossible to believe what your eyes are seeing. Dan is a genius – and does everything with mastery and perfection. Worth every cent! The shows are held on Thursdays, Fridays, and Saturdays, at times that vary – there are options at 5:30, 6, 7 and 10:30 pm. Tickets are sold on the website and are released at 10 am (Eastern time). Attention! They usually sold out in less than 10 seconds and are sold only in pairs – $258 a pair. If we compare to the price of a Broadway play, it’s not that different.